NOT ONE OF THE GUYS on the ground had liked this mission. Now, moving to within a klick of their target, they had pushed that distraction from their minds and were solely focused on the deadly challenge before them. Glancing at the GPS attached to the stock of his rifle and scanning the terrain ahead, Lieutenant Commander James Reece called a quick perimeter. Snipers were already moving up to the high ground as team leaders joined Reece for a last, quick update before the final push to the objective. Even with all the technology at their disposal, things could go wrong in a heartbeat. Their enemy was cunning and highly adaptive. After sixteen years at war, the Afghan saying, “The Americans have all the watches, but we have all the time,” rang a bit more true than it had in the early days. “What do you think, Reece?” asked a huge beast of a man, looking like a creature from another world with his AOR1-patterned camouflage, body armor, and Ops Core half-shell helmet with NODs firmly in place. Reece looked at his most seasoned troop chief. The light green glow of the NODs illuminated through the beard on the other man’s face a slight smile that could not be mistaken for anything other than the confident look of a professional special operations soldier. They rose with resolve and moved with the poise of men who were comfortable in chaos, moving up the rocky ridgeline to get their Teams in place before approaching the target to make entry. This is too easy. You are thinking too much again. It’s just another mission. Then why this feeling? Maybe it’s just the headaches. The headaches had plagued Reece for the past several months, finally prompting a visit to Balboa Naval Medical Center before this deployment for a series of tests. Still no word back from the docs. Maybe it’s nothing. But maybe it’s something. Reece had learned a long time ago that if something didn’t look right, then it probably wasn’t. That judgment had kept him and his men alive on many a deployment. Everything had lined up a little too easily for this target: the intel, the offset infil, the current state of the objective area. And why the pressure from higher authority to go after this target? When was the last time a flag-level command injected itself into a tactical planning process? Something wasn’t adding up. Maybe everything’s fine. Maybe it’s the headaches. Maybe it’s a bit of paranoia. Maybe I am getting too old for this. Focus, Reece. This wasn’t the first time that they had approached a target they suspected was a possible ambush. At one point in the war, when intel had pointed to the high possibility of an ambush, corroborated by multiple sources both human and technical, Reece would have knocked on the door with a thermobaric AT-4 or a few 105mm rounds from an AC-130 gunship. This was the first time that actual tactics had been dictated from higher, from men who would not be on the ground. Focus on the mission, Reece. One more check with the Tactical Operations Center, a forward-based command also called the TOC, and a look at the Predator feed. Nothing. Another check with the sniper teams. Nothing moving. Reece glanced up at the military crest of the hill in front of him. Through his NODs he could see the assault teams set and ready to move. He couldn’t see the snipers, which gave him cause for a thoughtful smile. Best in the business. Reece keyed his radio and opened his mouth to give the order to move. The explosion knocked Reece back ten yards and ripped his helmet from his head as the entire military crest of the hill in front of him erupted in a concussion of violence and death. Teammates, friends, husbands, and fathers who one moment earlier had represented the best special operations force the world had ever known were gone in less than a second. Reece never realized that he was momentarily knocked unconscious. The pain in his head brought him back into the fight before the dust began to settle and the reverberations from the explosion had drifted from the hills. The professional in him immediately ensured he still had his weapon. Check. Next was a mental rundown of his body. Everything appeared to still be in the same place and working. They knew. How? Later, Reece. Always improve your fighting position. His eyes darted around looking in vain for his helmet and communications headset, eyes adjusting to the dark, hands moving in a frantic search until finally coming across it in the dirt. Yes. Wait, too heavy to be my helmet. That’s because it’s not your helmet. It’s someone else’s. And the head is still in it. Even in the darkness it was clear to Reece that he was staring into the face of his longtime friend and Teammate, the big man with the huge beard and confident smile, and that his head was no longer attached to his body. Reece couldn’t stop the tears from welling in his eyes but quickly brushed them aside. Focus. No time to mourn. Exploit all technical and tactical advantages. Check. Reece unsnapped the chinstrap, letting his friend’s head fall to the ground, and quickly put the helmet on his own head. Miraculously, the NODs still worked. His radio operator was facedown, twenty yards away. Reece could tell from the contorted position of his body that he was dead. 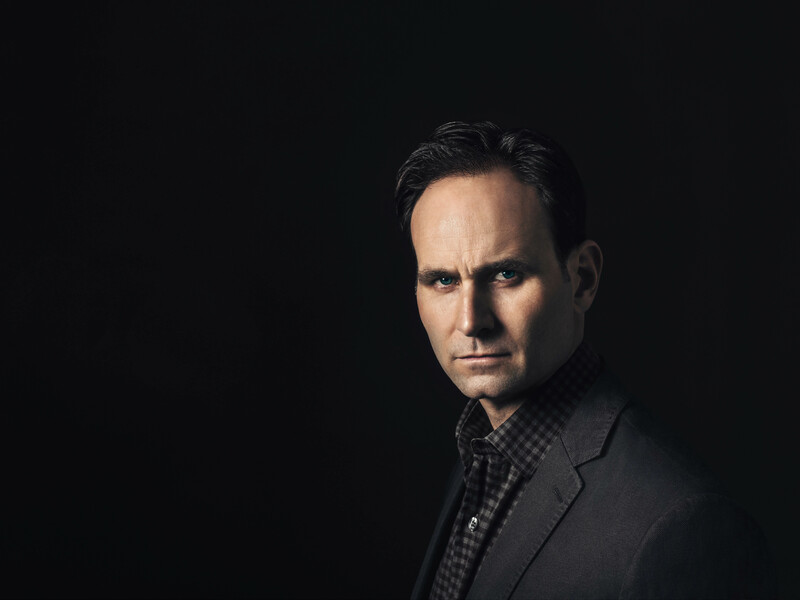 Moving quickly to his side, Reece turned him over, checked for breathing and a pulse, knowing that the shrapnel sticking through his right eye and out the side of his head had killed him instantly. Removing his radioman’s helmet, Reece ripped off the MBITR radio and headset to reestablish communications with the supporting aircraft and his TOC. Nothing moved on the hillside. It was as if the sword of death had swept over the entire force. Reece heard footsteps behind him and spun, weapon up, off safe, infrared laser activated, searching for threats. He immediately checked up his M4 5.56mm rifle as he recognized three of his operators running up to him from their rear security positions. The temptation to run up the hillside was a strong one but another thought was at the forefront of all their minds: win the fight. His rear security found new positions without saying a word, forming a tight perimeter around their leader. Reece shut the carnage and death of the ambush from his mind. It was time to act. “SPOOKY Four Seven, this is SPARTAN Zero One,” said Reece into his radio while looking at the Gridded Reference Graphic attached to his arm. “Request fire mission on building D3. 105s. Level it.” Worn in a similar fashion as a quarterback’s wrist coach, the GRG was instead an aerial image of the target area that allowed him to coordinate and maneuver forces who all used the same graphic. “Good copy, Zero One. Six mikes out.” The AC-130 gunship had been loitering ten minutes away so as not to give away the coming assault in the still Afghan night. “Break—RAZOR Two Four, RAZOR Two Four. Request QRF and medevac on my position, ECHO Three. Stay off the hillsides. We have multiple personnel wounded from buried IEDs.” One never mentioned the dead in a radio transmission. “Roger, Zero One. Headed in for a hot extract on grid ECHO Three. Ten mikes out.” The QRF birds were two CH-47 helos packed with fifteen Rangers each. Reece turned his attention to his four remaining operators. “Who do we have?” He asked. The pair moved together up the hillside, though mountainside was a more apt term. Rocky and steep at altitude, and weighed down by forty pounds of body armor and gear makes for slow going, especially when moving through a suspected minefield. Reece and Boozer inched up the hill, the smell of cordite, blood, dust, and death heavy in the air. Movement to the left. “B, I have movement. Don’t rush up. Continue to follow me,” Reece whispered into his radio. Boozer responded by keying his mike twice, signifying good copy. Reece moved in the direction of the movement and what he now identified as moaning. Donny Mitchell, one of the youngest members of Reece’s team, lay dying among the rocks of eastern Afghanistan. His body missing from the waist down, he reached for Reece. “Yeah you do, buddy. Yeah you do. Air strike is coming in now. We’ll get them.” Reece sat down next to Donny and moved to cradle his head in his arms. As the first of the 105s began to hit the compound, Reece caught the hint of a smile on Donny’s lips as he drifted off to Valhalla. Reece looked up, watching Boozer slowly work his way among the boulder-strewn hillside. Behind Boozer, Reece first heard, then saw the blacked-out 47s begin their descent into the valley where Jonesey and Mike now guided them in. We will pound the hell out of that compound with air and then move in with the Rangers to conduct battle damage assessment and sensitive site exploitation. It was then that the gravity of what had just happened began to sink in. I’ve lost my team. It is my responsibility. Reece’s eyes began to mist over for the second time that night. He had no idea how bad things were about to get. 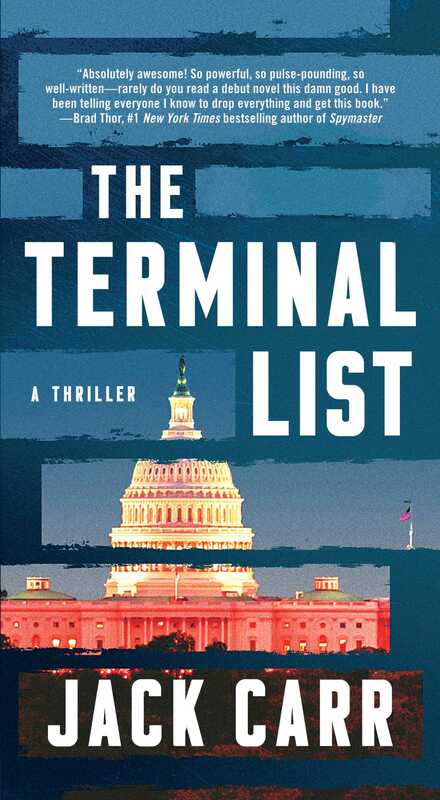 "An intoxicating thriller that cautions against the seduction of absolute power and those who would do anything to achieve it, THE TERMINAL LIST is perfect for fans of Vince Flynn, Brad Thor, Stephen Hunter and Nelson DeMille."